Trinity student Amelia Roberts ’19 was arrested and charged with Operating Under the Influence (OUI) by Hartford Police last night at 10:52pm at Allen Place near High Rise Dormitory. 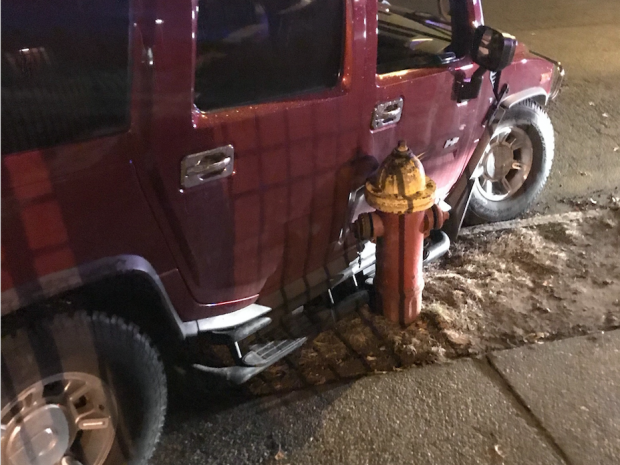 Witnesses state that Ms. Roberts was driving down Allen Place when she crashed into a fire hydrant. She was also charged with Failure to Carry Registration or Insurance Identification, Improper Parking or Operation on Street, and Failure to Renew Registration, according to the Hartford Police Department Record of Adult Arrest. She has been released as of 1:00 this morning. Campus Safety has confirmed that no one was injured as a result of the incident and that the car only had one occupant. This is the third automobile accident to occur on campus since the fatal crash that killed a driver unaffiliated with Trinity at the Summit South entrance to the College on New Year’s Eve. This is a developing story and updates will be forthcoming.